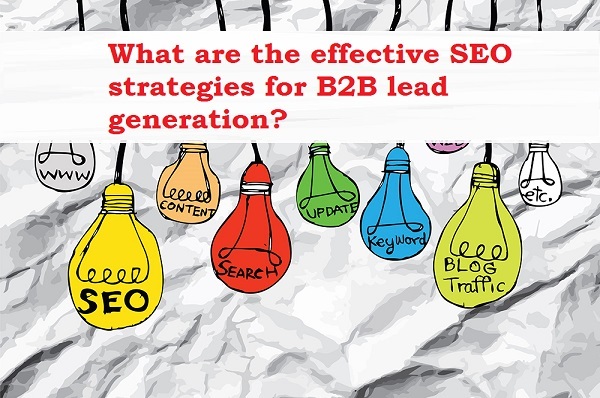 What are the effective SEO strategies for B2B lead generation? In this era of “go digital” every trade has implemented some effective marketing tactics to boost customer conversion and b2b lead generation. Among these plethora of tactics, search engine optimization is one major strategy, which help businesses to create brand awareness thereby to appeal prospects for an efficacious lead generation campaign.